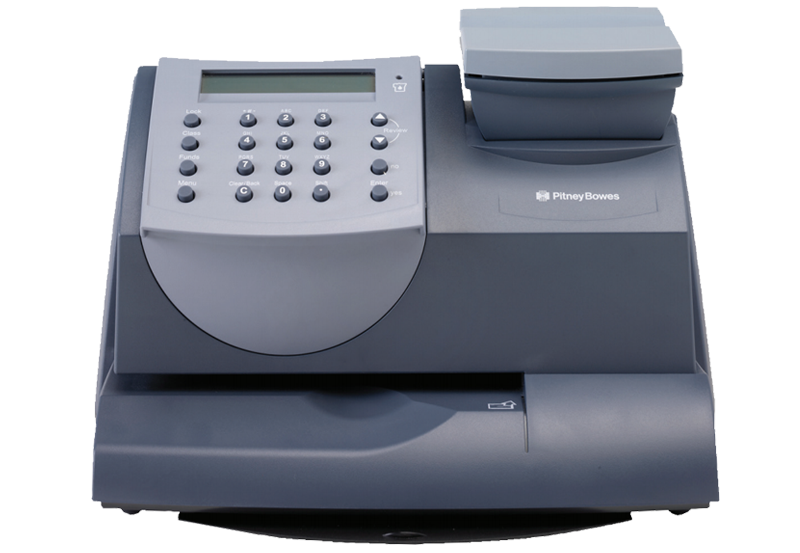 The DM60 from Pitney Bowes is an ideal franking machine for small business sending up to around 30 items of mail per day. It’s pitched as an entry level machine with a processing speed of 18 letters per minute and an integrated scale capacity of 2.5kg. Although a simple machine it provides you with up to 5 pre-loaded marketing messages and the option to create a unique one for your company. 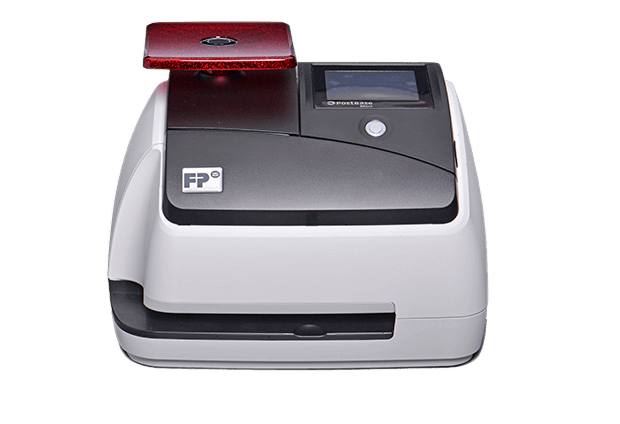 There’s no denying that the PostBase Mini from Frama is an attractive machine with its colour touchscreen and sleek design. The 2kg integrated scale is available in a choice of 5 colour options so you can choose the option which suits your office or brand. However, it also delivers impressive functionality for such a low cost machine with a processing speed of 24 letters per minute and 300Dpi printing resolution. You can also create a bespoke marketing message to print on your envelopes to enhance your professional image. 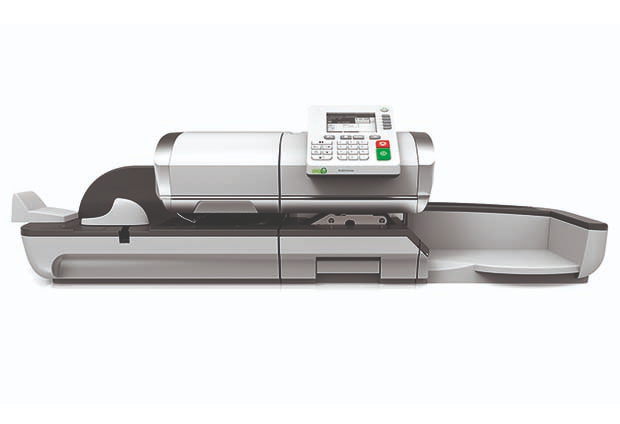 Although promoted as a low volume franking machine, the Neopost IS-280c can actually cope with up to 150 items of mail per day. It offers up to 10 different marketing messages which can be printed in high quality and also 10 different user accounts. The integrated scale has a capacity of 2kg and it processes at a speed of 15 letters per minute. 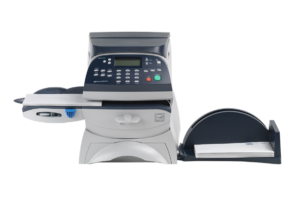 The DM220i from Pitney Bowes is best suited to medium volume output of around 200 items of mail per day. It processes at an impressive speed of up to 45 items per minute. 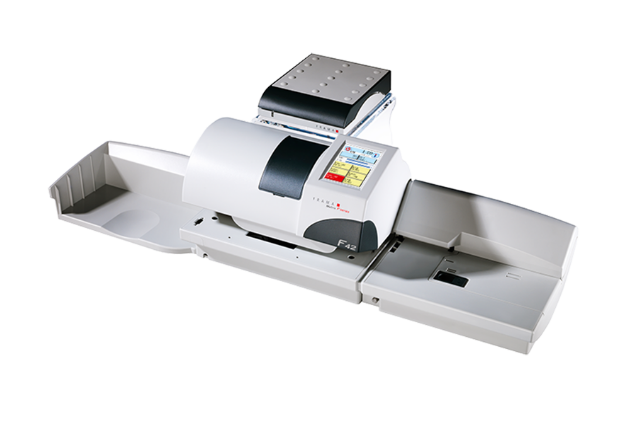 It has a relatively high integrated scale capacity of 5kg which enables differential weighing to save you even more time when franking. 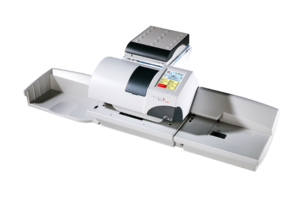 This machine will accommodate envelopes up to 9.5mm in thickness and has an envelope sealer included. You can monitor and report on up to 100 different departmental or user accounts for easy management. 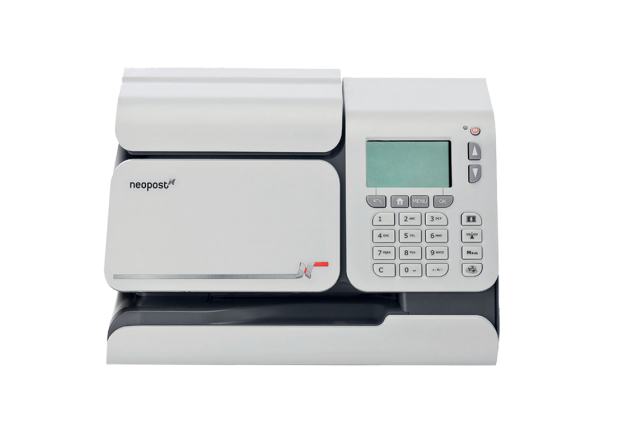 The Neopost IN 600 is a simple to use but high performance franking machine for medium sized businesses. This machine will process up to 70 letters per minute but if you include an automatic envelope feeder (optional accessory) this speed increases to 100 letters per minute. You can also choose between an integrated scale with a capacity of 3, 5, 10 or even 30kg. 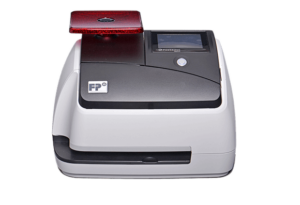 Other key features includes the automatic label dispenser, pin security, 10 advertising slogans and a range of shortcut keys for easy navigation. The Frama Matrix F32 delivers high quality HQPrint mode printing, providing your postage with a professional finish. The machine enables you to create up to 6 advertising stamps and 3 text messages bespoke to your business and includes 3 built in graphic messages. It is extremely user friendly and features semi-automatic feeding and a large touchscreen display with 30 functions. 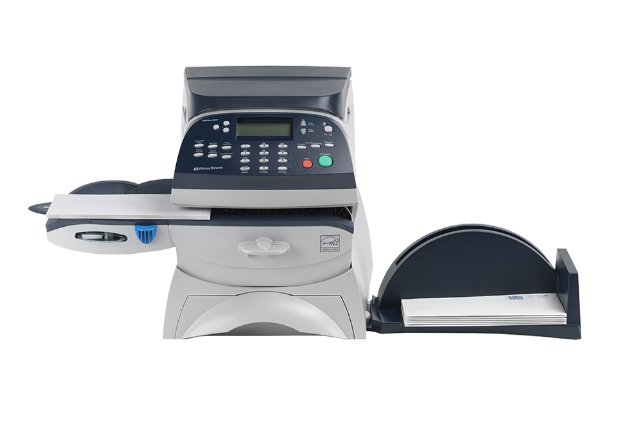 These machines are best suited to small to medium sized businesses. If you’re likely to send more than 350 items on a regular basis then you may want to consider a machine with a higher capacity to avoid overloading it and potentially causing breakdowns. 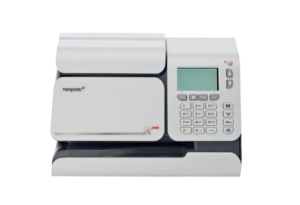 The prices of your new franking machine will vary depending on which supplier you use, so it’s very important to source multiple quotes so you can compare their prices and make sure you’re getting a competitive deal. However, when comparing quotes there are some hidden costs that may not be immediately apparent. For example, you will need to refill the ink cartridge of your machine and prices for these will vary. Some arrangements will charge fees when you add credit to your machine or when you update to the latest Royal Mail tariffs. You’re also required by the Royal Mail to get your machine serviced annually. This can usually be taken care of through a service contract but this will add to an initially low rental cost. 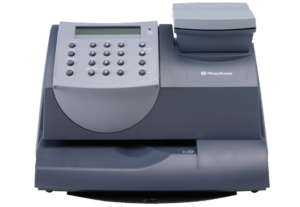 If you’d like us to save your business time getting quotes from these franking machine suppliers and others please follow the link below.